There is an abundance of exercise bikes, free wheel bikes, indoor training bikes and recumbent bikes on the market. Question is, what’s the difference and how do they benefit you? If you’re looking for a good place to start, then the humble exercise bike is best. Beginners can easily achieve the pedal motion for a simple, universal workout. 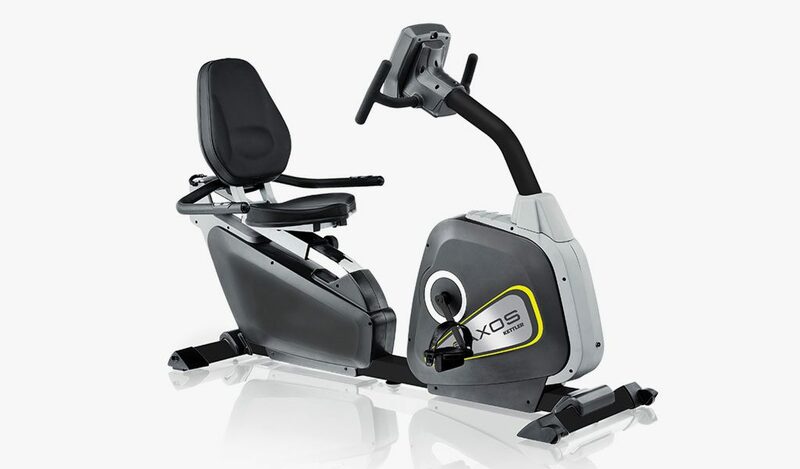 Their sleek, general designs make them one of the most popular exercise machines out there. In terms of comfort, an exercise bike is best. They have wider, padded seats and less impact or strain on joints. Maintain a seated position throughout the exercise and keep upright (they are sometimes referred to as upright bikes). Watch TV as you pedal or read a magazine with ease. 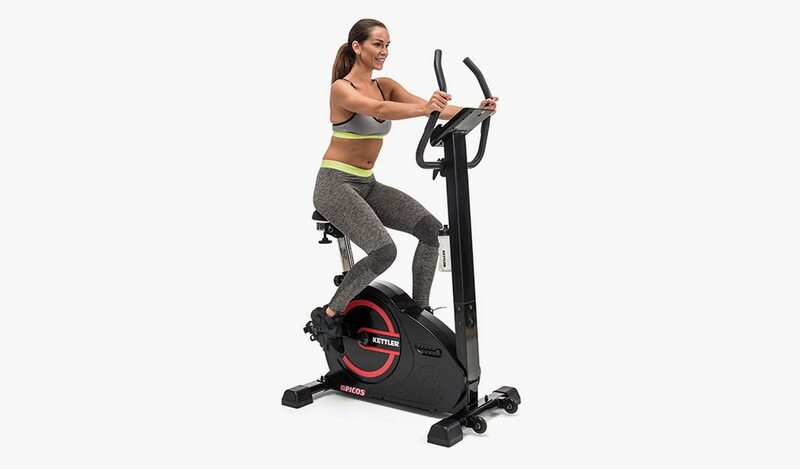 Most exercise bikes use electronically controlled magnetic resistance where, instead of brake pads, magnets slow down the rotation of the wheel. 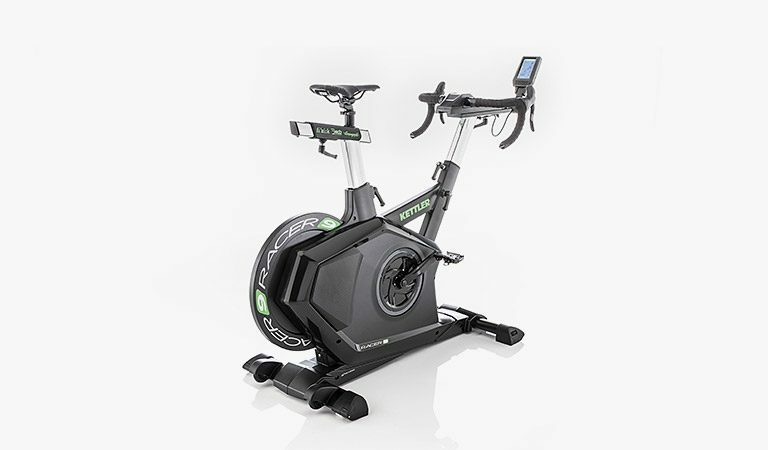 Indoor training bikes come in two options: fixed wheel and free wheel. A free wheel continues to spin when you stop pedalling while the fixed wheel stops when you do. The free wheel replicates outdoor biking, and is the preferred choice for road cyclists. The fixed wheel is a more comfortable ride for newcomers to indoor training bikes. 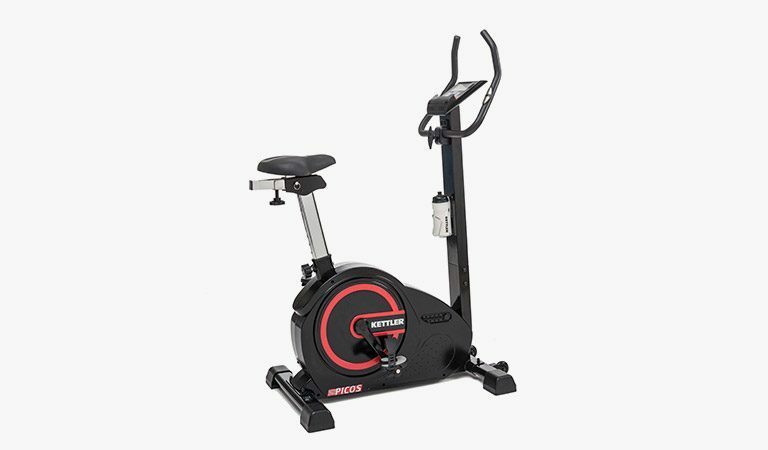 Indoor training bikes are more suited to advanced users and cycling enthusiasts. They mimic the sensation of real-life cycling. Power through a more superior resistance and feel a much smoother pedal than an exercise bike. Why are they smoother? 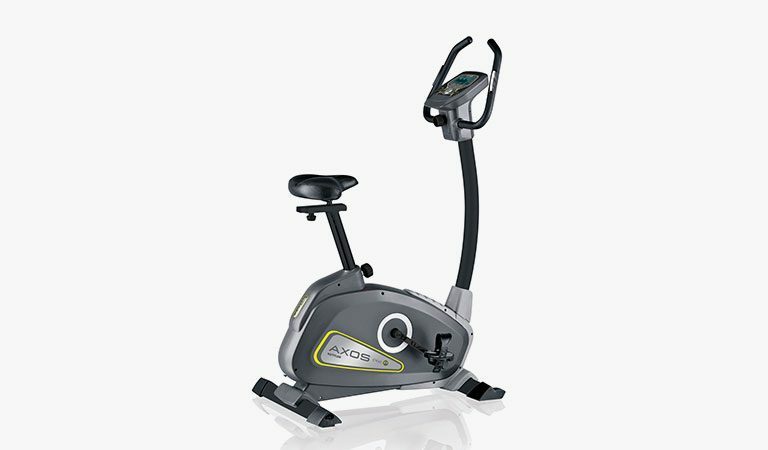 An exercise bike is controlled by a belt which is pushed by your movement and a lightweight flywheel. 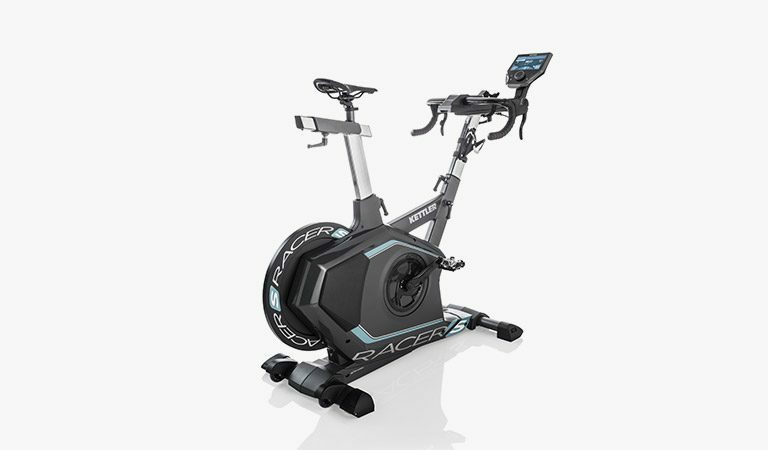 An indoor training bike has a heavier flywheel and includes a transmission system that closely resembles a real bike. 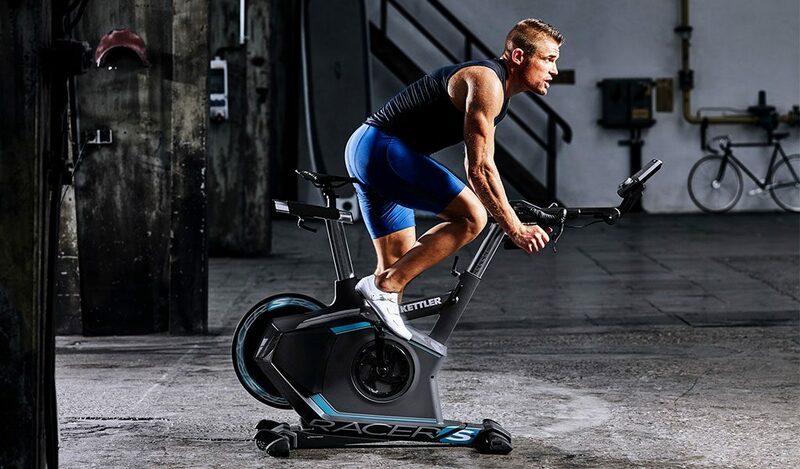 For a more intense workout on your legs, you can stand on an Indoor Training Bike. You can also safely lean forward for a more intense workout on your glutes. The frames are often more adjustable and include more gadgets to increase or decrease resistance. Sufferers of knee and back problems would prefer the comfort of a recumbent bike. A wider seat positioned parallel to the floor with a back support cradles the body like a car seat. The pedals are in front rather than below so the legs extend. Like an upright bike, a recumbent bike is steadier, allowing you to watch television while you workout. But don’t think you’re in for an easy ride. At a low intensity, a recumbent bike can be more strenuous. An argument against all exercise bikes is that it is not a full body workout. The stability of the recumbent bike allows you to use hand weights to do curls or overhead raises as your legs work without the risk of causing an injury. The key muscles used on any bike are the hamstrings, quadriceps, calves and glutes. The quads are at work as you pedal down while the hamstrings aid in bringing the pedal back up. Improve calf muscles by pointing your toes downward on the upward stroke – this will make them work harder for better toning. Sitting upright and maintaining a strong posture on an exercise bike keeps abdominal muscles tight and improves core endurance. Slouching increases risk of injury. Draw your stomach in towards your spine and flatten your back. A recumbent bike improves your hamstrings and quadriceps more than an upright bike. Your legs are solely responsible for powering the recumbent bike while legs share the load with your core and upper body on an upright bike. If you are looking for an upper body workout, as well as toning legs, you can include hand weights. Only do this if you feel comfortable and stable enough on your bike. Perform curls or cross-shoulder extensions to tone shoulders and arms as you pedal. Not only does cycling burn calories but also improves cardio, helps lower high blood pressure, regulates blood sugar and may prevent heart attacks. Bikes usually come with heart rate monitors and display consoles to track your performance. These help you maintain a healthy balance as you lose weight. Just remember, don’t push yourself. Whilst setting the bike to a harder gear will give you a more intense workout at first, it can also increase injury, so ensure you warm up on a lower gear. Other types of aerobic exercises are hard on joints due to impact. Exercise bikes have a reduced impact. People who are overweight will find an exercise bike reduces mechanical stress on the back, hips, knees and ankles compared to a treadmill. Sprint intervals are easier to achieve with the smoother repetitive body motion, compared to a rowing machine or cross trainer. 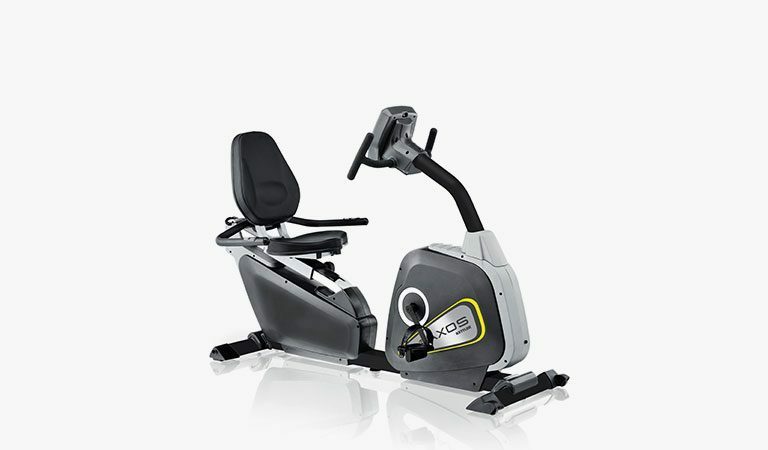 There are more adjustable components to an exercise bike, such as the seat, handlebars, frames and resistance. 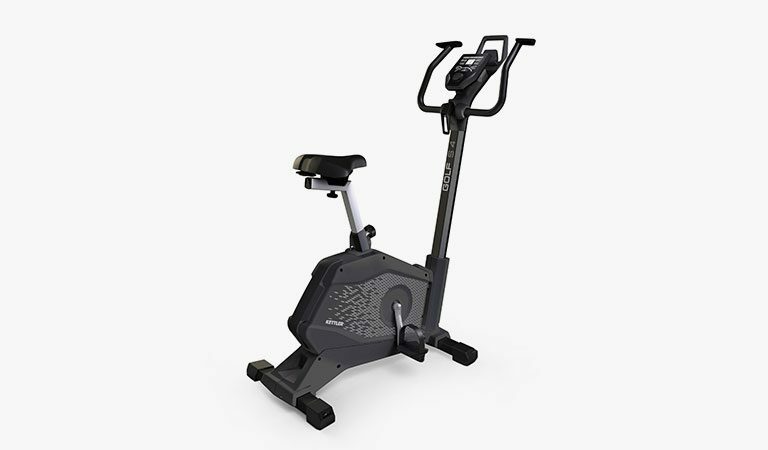 An indoor exercise bike recreates the feel of outdoor biking, more so than a treadmill or rower can recreate running or rowing outdoors. That being said, consider using another exercise machine in the home to challenge different muscles and prevent boredom.